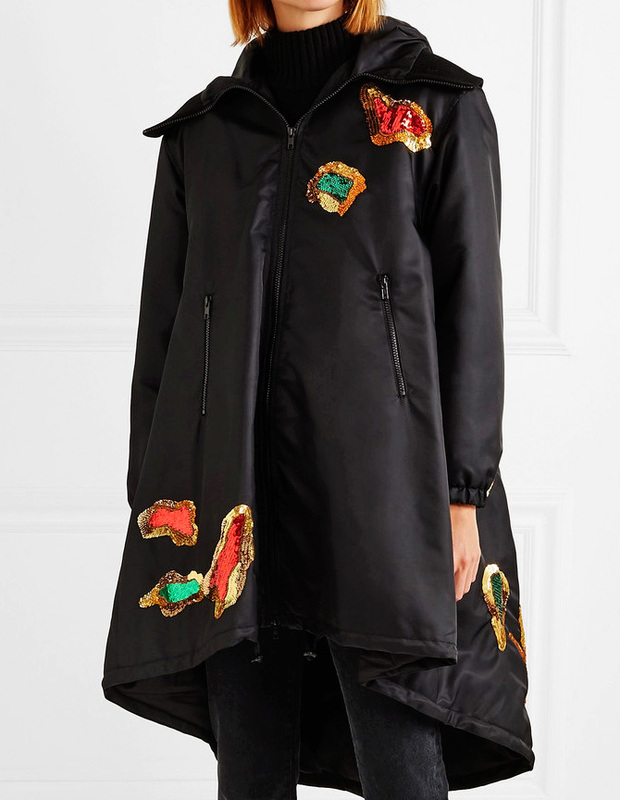 Pierpaolo Piccioli aptly chose the Institute of Fine Arts, New York for Valentino's Pre-Fall '18 show - this runway coat could easily be framed on those very walls. 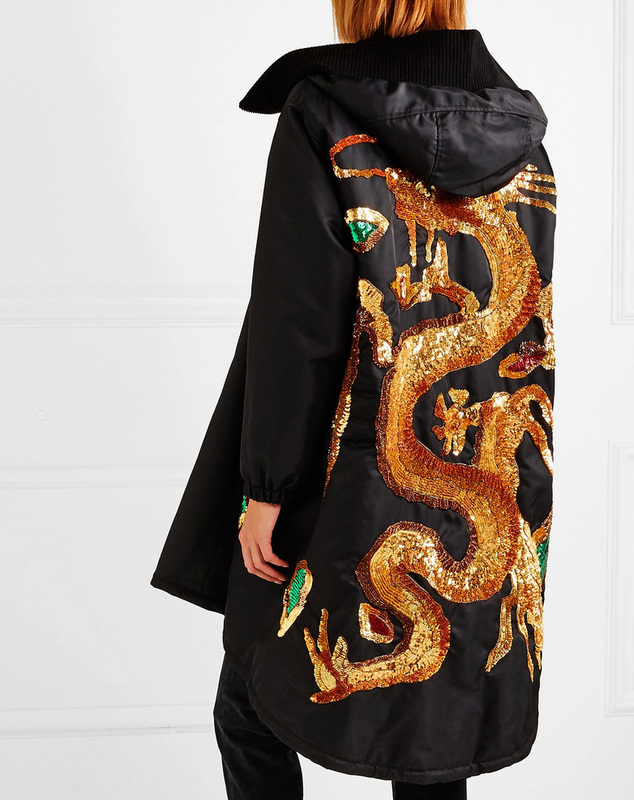 Made from the shell, this hooded piece is embellished with scores of sequins in the shape of a Chinese dragon at the back. Mirror the house's styling and wear yours zipped up with boots. 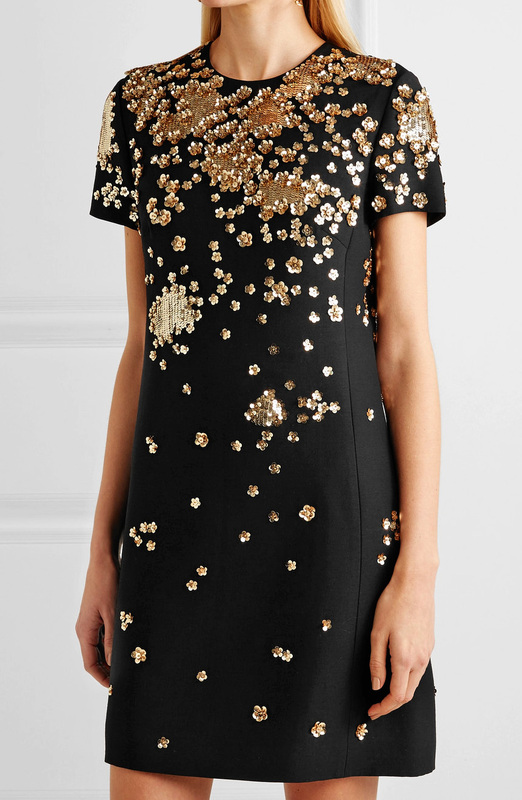 Valentino's Pierpaolo Piccioli loves to tap into the brand's archives from time to time – this LBD is reminiscent of vintage shift dresses. Cut for an elegant loose fit, this style is crafted from wool and silk-blend fabric that holds its shape beautifully. 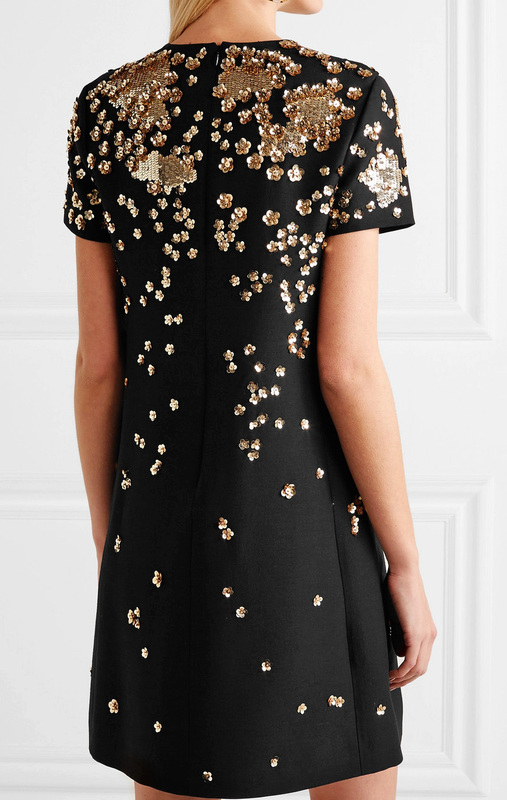 We love how the scores of gold floral sequins gently catch the light from every angle. Wear it to your next event with heeled sandals and a clutch.